Want to save more? Click here and we’ll help you make over your grocery budget! Lobster tails. Russian caviar. Foie gras. Wagyu beef. Sure, you’d love to eat them everyday and wash it all down with Dom Perignon. But let’s be realistic. For most of us, luxury foods are the stuff of special occasions, not weeknight dinners. That said, eating economically doesn’t have to mean peanut butter sandwiches on heels of bread. With a few smart tricks, you can dine like a high roller on a penny-pincher’s budget. Incorporating tiny amounts of extravagant ingredients (think 1/2 teaspoon of truffle oil), repurposing leftovers and stale bread, and gussying up inexpensive comfort foods can go a long way toward transforming budget meals into haute cuisine. Here are 10 of my favorite cutting-edge, cut-rate meals. Why it’s cheap: The main ingredients in this hearty salad are day-old bread and a can of beans. Need I say more? Why it’s luxurious: A traditional Italian dish, this salad will transport you to the hills of Tuscany. Simmering the red wine vinegar in the dressing concentrates and improves its flavor, making a cheap supermarket version taste like an expensive import. Why it’s cheap: Macaroni and cheese is the ultimate classic, comforting meal. It costs next to nothing to prepare, and is incredibly filling. Why it’s luxurious: This version replaces traditional cheddar cheese with smoked gouda, an inexpensive yet “fancy” cheese with a bold, smoky flavor. Why it’s cheap: Half a box of pasta and some bread crumbs = dinner for two. Why it’s luxurious: Fennel seeds and red pepper flakes, plus loads of garlic and Romano cheese give this dish tons of flavor. The recipe even includes a suggested wine pairing — a totally affordable Trader Joe’s chardonnay! Why it’s cheap: This vegan soup only requires a handful of low-cost ingredients, including a head of cauliflower, an onion, white bread and vegetable broth. Why it’s luxurious: A scant 1/2 teaspoon of truffle oil imparts an incredibly luscious, savory flavor. A small bottle of white truffle oil will run you about $15, but it lasts indefinitely. Why it’s cheap: It’s time we got over our obsession with breasts. Chicken breasts, that is. The thighs are much more flavorful, and they cost a fraction of the price. Why it’s luxurious: This chicken dinner is anything but ho-hum. You’ll marinate the thighs in sesame oil and coconut milk, then grill them and add fresh pineapple and lime salsa. Why it’s cheap: This fiery, authentic Mexican chili is made with economical stew meat. It’s also a perfect option for the freezer. Why it’s luxurious: Stew meat can be tough, but in this recipe, the slow cooker transforms it into luscious, tender chunks. Why it’s cheap: Make this simple soup with pantry staple ingredients like chicken stock, garlic, carrots, celery and onions. Why it’s luxurious: You’ll stir in chunks of gooey, creamy Brie cheese at the end, giving the soup a rich flavor and texture. You could splurge on fancy French Brie, but it’s also totally fine to use a domestic variety. Why it’s cheap: One butternut squash serves four people as a main dish, or six to eight as a side. 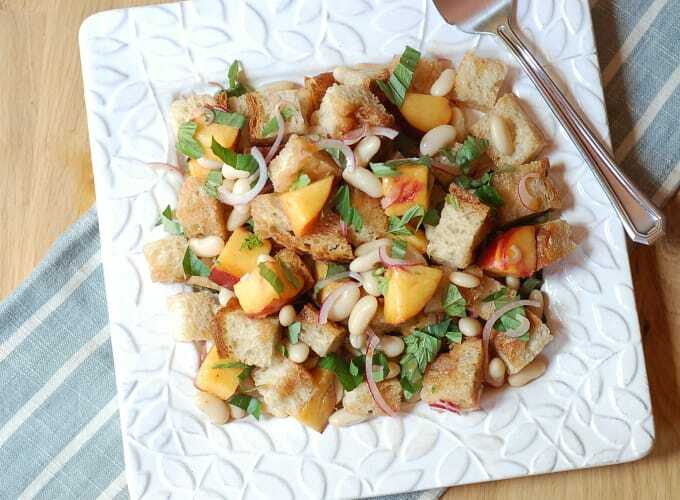 Butternut squash is just coming into season, so this is a great economical dish for fall. Why it’s luxurious: This recipe is all about the presentation. Top rounds of roasted squash with a mixture of hazelnuts, green apple, lemon, garlic and parsley. Think of it as an all-vegetable, gluten-free bruschetta. Why it’s cheap: Eggs aren’t just for breakfast! They make a great, budget-friendly dinner, too. Plus, they’re a terrific way to use up any leftovers in your fridge, like roasted or grilled vegetables. Why it’s luxurious: Creamy basil pesto, crumbly feta cheese and a sprinkle of flaky sea salt elevate this omelet from standard diner fare to something much more elegant. Why it’s cheap: The key components of this dish are humble cabbage, bottom-shelf cooking sherry and any old mushrooms (yes, even white button are fine). Why it’s luxurious: This gluten-free, vegan-option meal tastes like something you would order at a fine Italian restaurant. Use leftovers to make risotto cakes and top with a fried egg. Your Turn: What’s your favorite cheap meal that tastes like it’s fine dining? Share your recipes in the comments so we can all enjoy them!